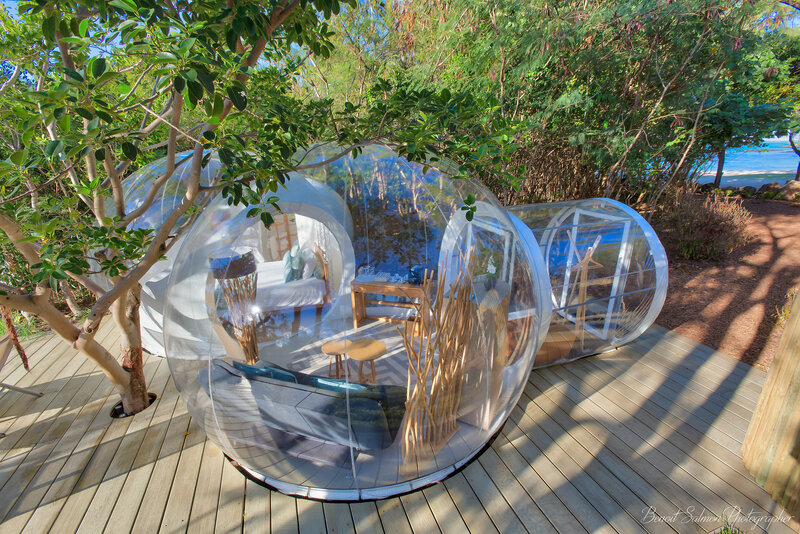 BUBBLE LODGE offers these amazing transparent structures to associate dreams and comfort of unusual stays for a unique experience. 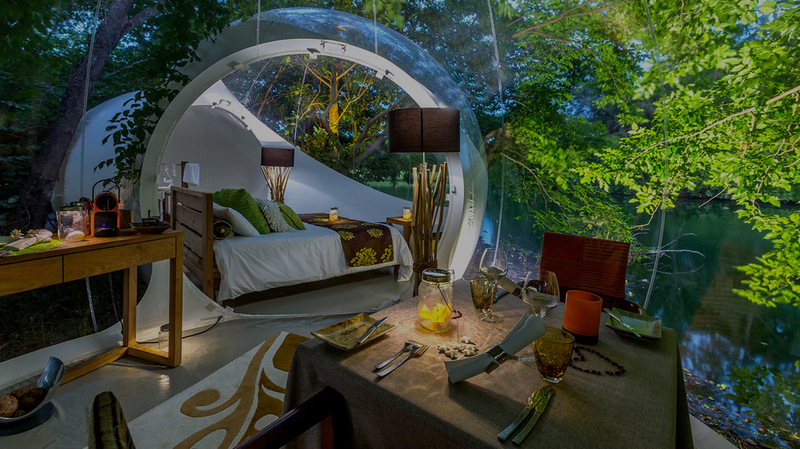 The Bubbles provide with a fully renewable ecotourism device, with no impact on the environment, with a minimum of matter and energy. 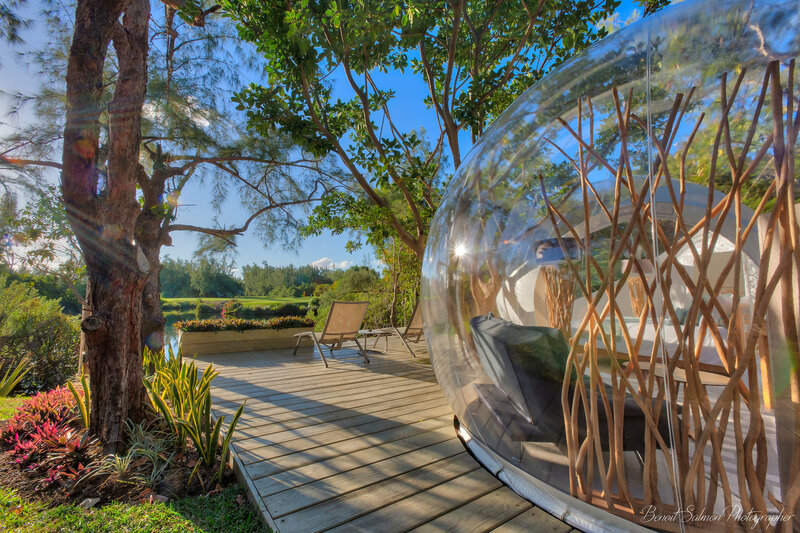 Amazing renewable and transparent structures to associate dreams and comfort. 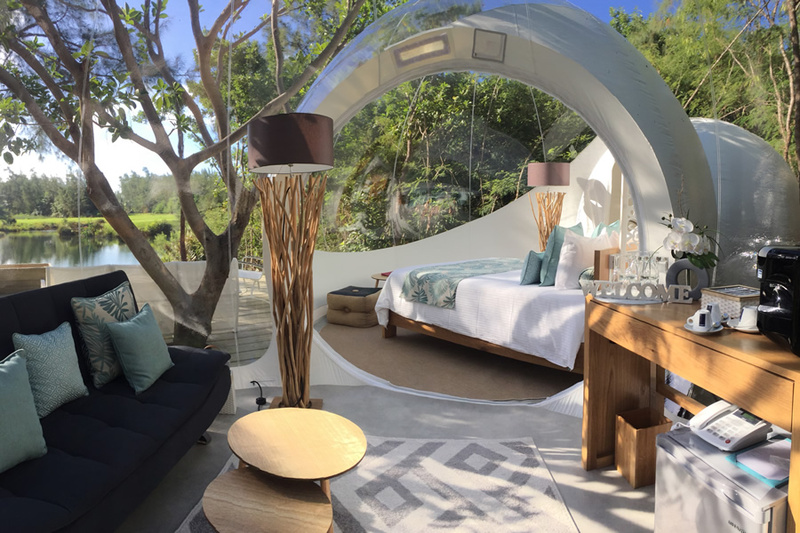 Atypical and prestigious comfort for those looking for a dreamy hideaway. Immerse in a revolutionary concept for an unparalleled experience. 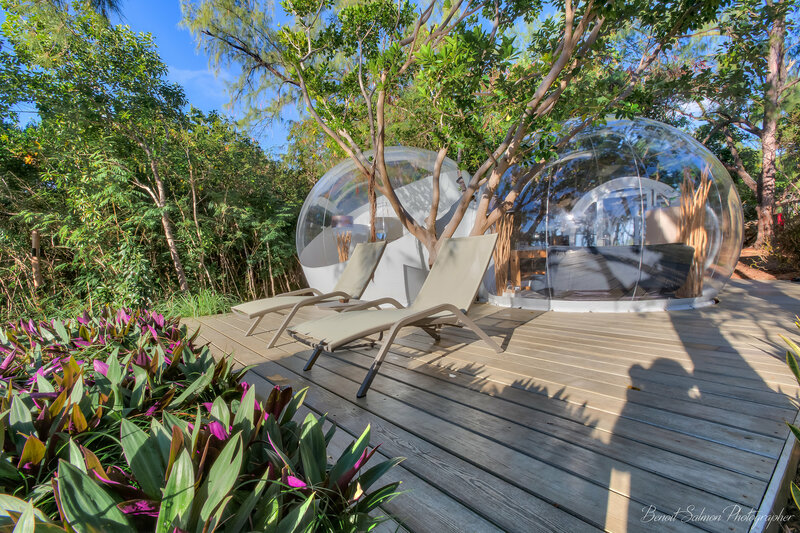 Perfect location to be in harmony with a tropical nature. Much more than Lodges ! Dinner and Breakfast at the Restaurant included. 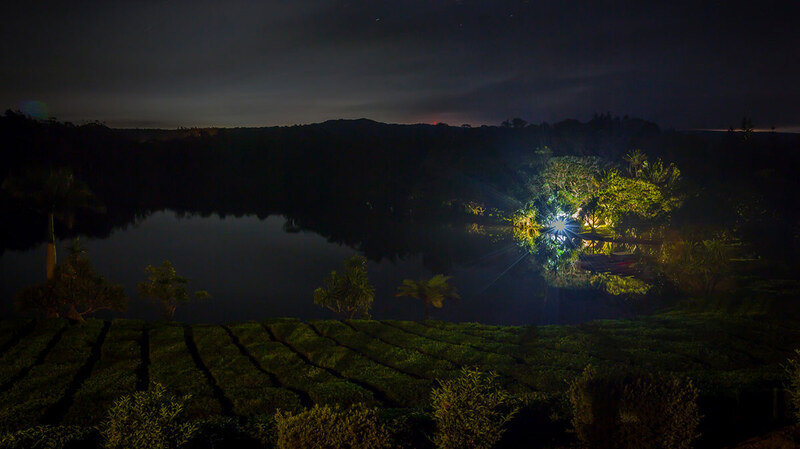 Delight your taste buds at Ile aux Cerfs and Domaine de Bois Chéri. Wide array of gifts available for a lifetime memory. Car parking is available for residents of Bubble Lodge. High quality housekeeping, respectful of the environment. It is strictly forbidden to smoke in the rooms. We promote fresh air! We favor good quality of service with a 24/7 security. powerful online travel website in the World, TripAdvisor. Gaze upon the stars from your Bubble and discover the name of the stars and constellations with SkyView ! A must to have on your smartphone or tablet. Download this free application before your visit and take advantage of the starry night : it works without connection !